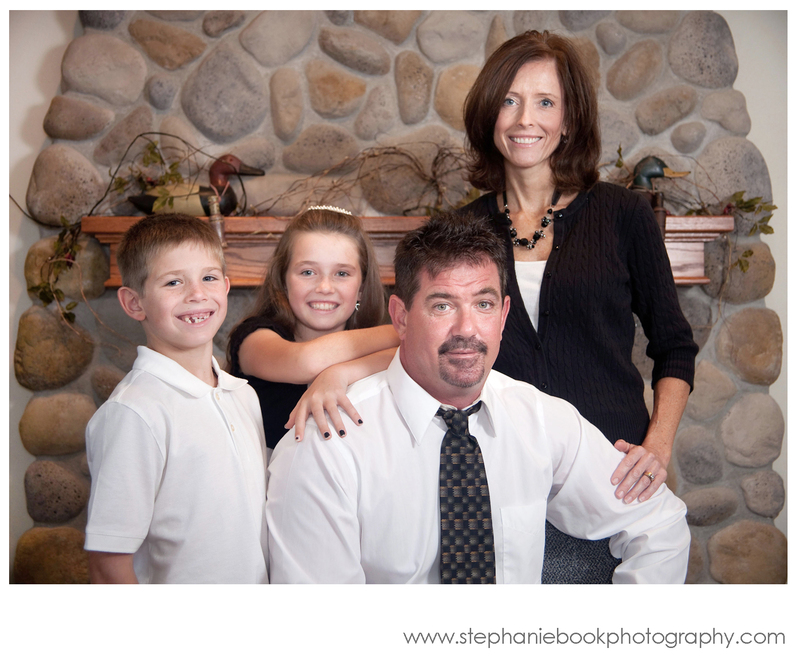 Moving into the holiday season once again, the time of year that often sparks that need for a new family portrait for holiday cards and gift giving. 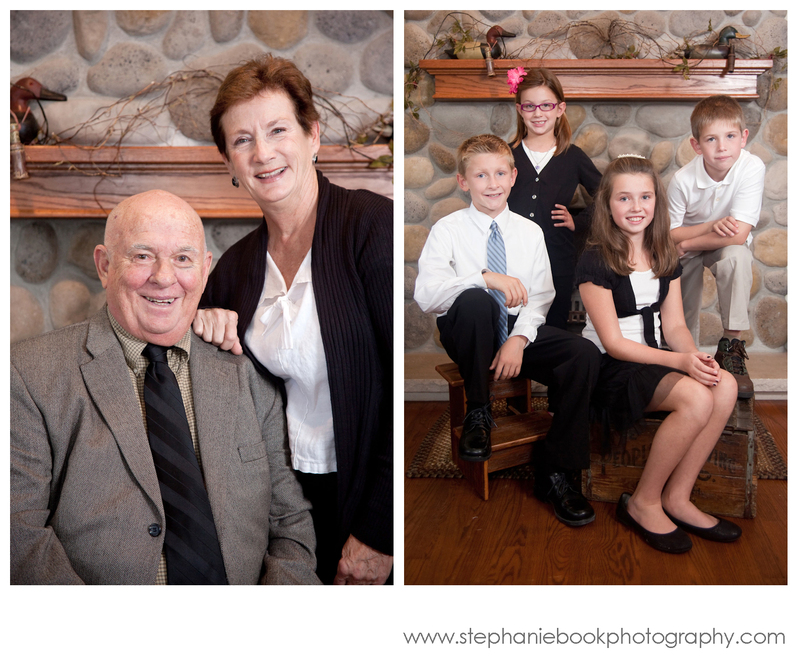 Recently I had the great honor to meet and photograph the family of one of my college professors. Among other activities with the communication department, I served as a department secretary and am still fairly active as an alum with the department. His grandaughter made me chuckle when she asked why I kept calling him Dr. Hemmer. For as long as I know him, I’m not quite sure I could address him any other way. Being the unpredictable fall season we hoped for good weather, but we were prepared for the rain we were given that afternoon. 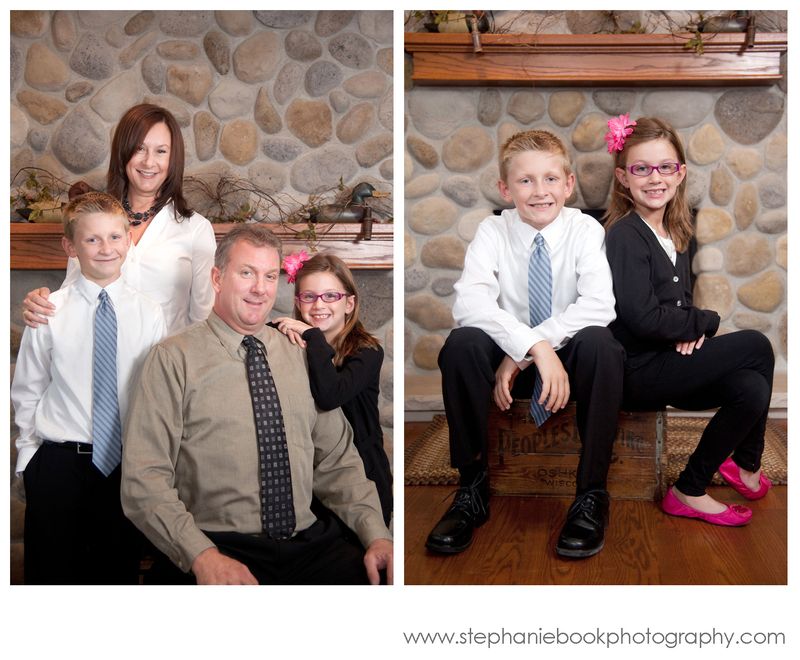 Our weather plan was to shoot in front of the fireplace in the livingroom of their home, so I brought with me a 44″x36″ reflector, a 32″ umbrella, a set of Speedlights and Pocket Wizards. Following the session, I was invited to stay and partake in Sunday football cuisine and television. During a commercial break in the first half, the rain lifted and the sun came out just long enough to run outside for a quick football themed group photo before a light shower and the game resumed. A lovely family and afternoon-many thanks for the good food and good company. 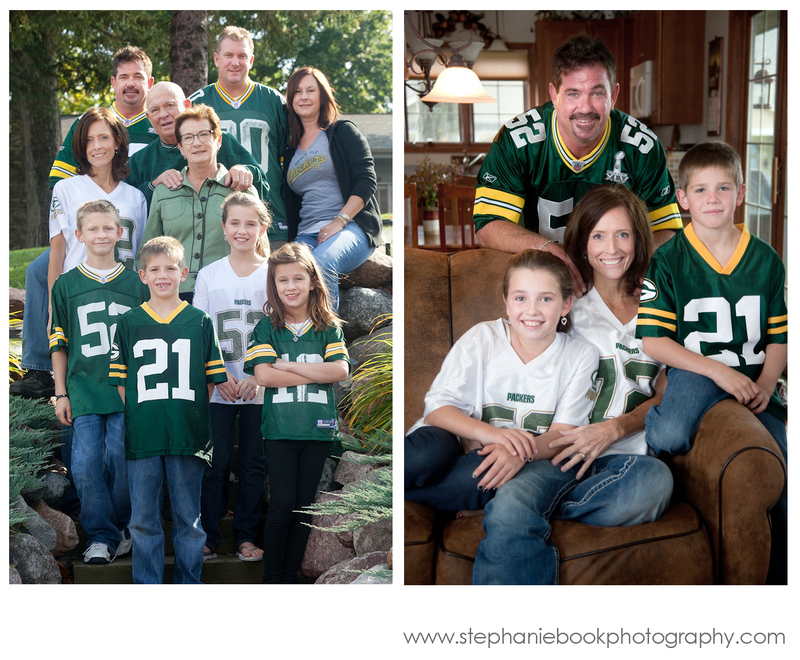 And happy holidays, Hemmer family! ~ by Stephanie Book on November 2, 2011. I remember the sunlight didn’t last long that day. Nice shootin’ Tex!